TM – L.A., a field tested, community-based veteran reintegration program designed to offer unemployed, post 9/11 veterans living in Los Angeles County, workforce development training and related support. 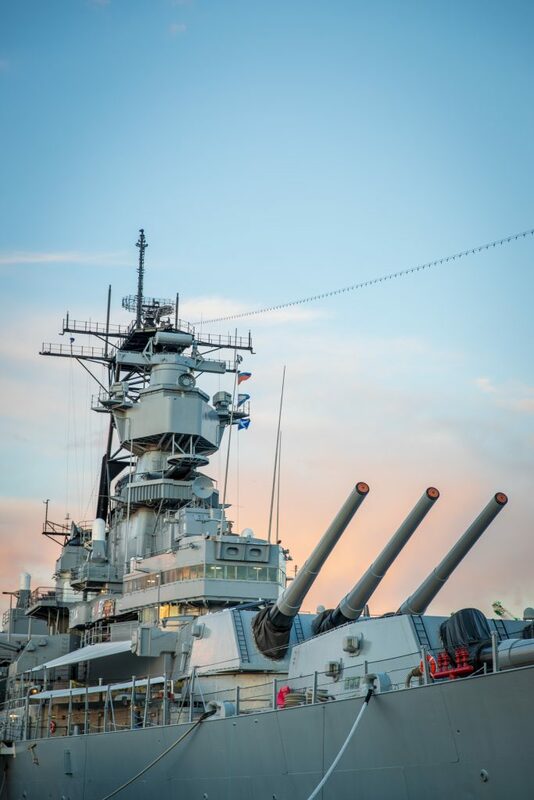 The first REBOOT WorkshopTM as part of OPERATION SkillBridgeTM will take place aboard the Battleship IOWA Museum in April 2019. Research reveals that veterans suffering from service-connected mental and physical disabilities, which may be exacerbated by current circumstances, are best served through specialized reverse boot camp programs such as REBOOT WorkshopsTM, designed to enhance resiliency and combat issues resulting from the inability to transition from a military to civilian mindset. OPERATION SkillBridgeTM – L.A. is guided by a research-based curriculum with the overarching goals of empowering veterans to confidently enter the civilian workplace by gaining resiliency training, pre-employment job skills training and certifications, job matching, employer engagement, and on-going community support through participating veteran service organizations. In OPERATION SkillBridgeTM – L.A., each workshop includes a 15-day course of progressive training, divided into three parts focused on personal, lifestyle, and career transitioning. Veteran facilitators will guide participants through a process that helps formulate individual career and life plans, followed by selecting certificated job training programs that will bolster their employability. Career job matching is based on course completion and on the veteran’s career Dynamic Natural Abilities (DNA). Battleship IOWA Museum is located at 250 South Harbor Boulevard, Berth 87 in San Pedro. For more information on this program and mission visit www.nvtsi.org and www.pacificbattleship.com or call (877) 446-9261. Entering service more than 70 years ago, the USS IOWA deployed to the South Pacific in the early years of World War II. The iconic battleship served with distinction in that war and later, during the Korean War. In the 1990s, as the Berlin Wall crumbled, the IOWA concluded her active duty. Battleship IOWA now serves as a not-for-profit historic naval ship museum. Forged in war and guardian of peace, the proud ship is the sentinel of the Los Angeles Waterfront. IOWA’s teak decks and steel bulkheads echo the words and deeds of history, having carried upon them three U.S. Presidents, six of the nine American five-star military leaders, countless foreign dignitaries, and most importantly, thousands of her own heroic IOWA sailors. Visitors are awed by the IOWA’s proud legacy as one of the fastest and most powerful ships ever to sail the world’s oceans. Battleship IOWA Museum is open to the public daily, except Thanksgiving and Christmas, from 10 a.m. – 4 p.m. For information on special events, group tours, educational programs and Naval retirement flag service, visit www.pacificbattleship.com.